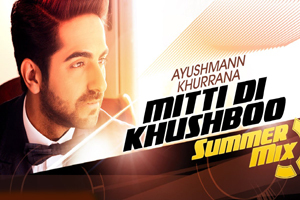 A summer mix version of Mitti Di Khushboo is sung by Ayushmann Khurrana featuring him and Huma Qureshi. The video of this song is available on YouTube at the official channel T-Series. This video is of 3 minutes 35 seconds duration. Lyrics of "Mitti Di Khushboo (Summer Mix)"
Lyrics in Hindi (Unicode) of "मिटटी दी खुशबु (समर मिक्स)"